Rise with the sun to pray. Pray alone. Pray often. 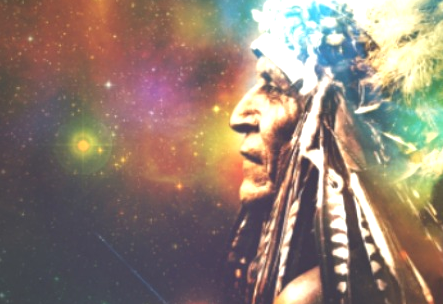 The Great Spirit will listen, if you only speak. Be tolerant of those who are lost on their path. from a lost soul. Pray that they will find guidance. When people pray, they speak to God in order to give thanks or to ask for his help. Now all we have to do is help ourselves and to pray to God. Kelly prayed that God would judge her with mercy. When someone is hoping very much that something will happen, you can say that they are praying that it will happen. but no one can walk it for you. Treat the guests in your home with much consideration. bed and treat them with respect and honor. culture. It was not earned nor given. It is not yours. this earth – whether it be people or plant. Honor other people’s thoughts, wishes and words. Never interrupt another or mock or rudely mimic them. Allow each person the right to personal expression. will multiply when it returns to you. And all mistakes can be forgiven. body and spirit. Practice optimism. Nature is not FOR us, it is a PART of us. They are part of your worldly family. are grown, give them space to grow. Avoid hurting the hearts of others. The poison of your pain will return to you. test of one’s will within this universe. rich in spirit to cure emotional ails. responsible for your own actions. nurture and help yourself first. Do not force your belief on others. Share your good fortune with others. да, конечно, общечеловеческие ценности. кстати. Депутат госдуры Алексей Пушков заявил, что "России надо зафиксировать противоположное с США и с Западом понимание прав человека". "Нам пора зафиксировать полное размежевание между нами и США в отношении того, что называется правами человека" - заявил он. Я не знаю, откуда они набрали таких отборных идиотов. Или их там чем-то поят в обед, добавляют какую-то псих-отраву. Здравый смысл покинул их навеки, бедных. Порой становится жалко.